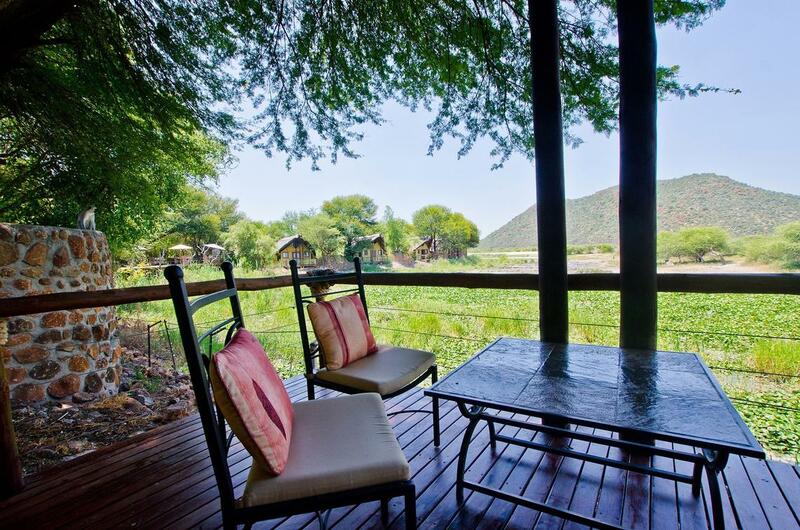 Tau Game Lodge lies close to the far northern border of malaria-free Madikwe Game Reserve and overlooks a massive waterhole, which is frequented by a variety of bird- and wildlife species. 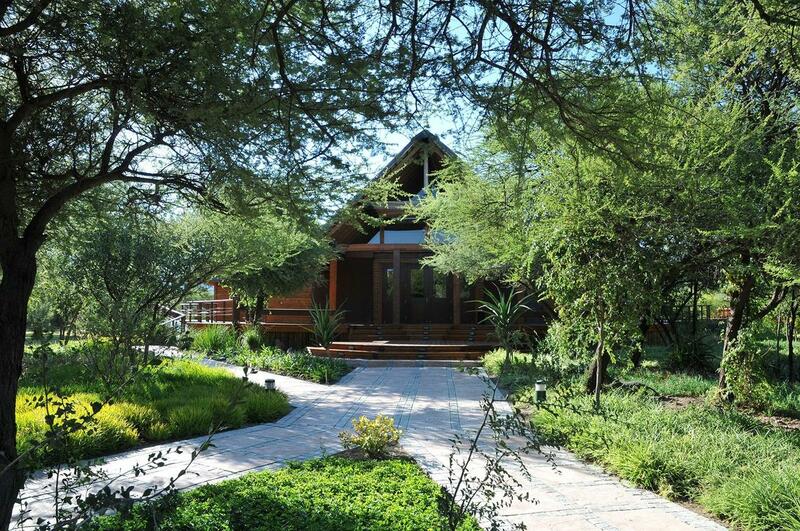 This privately-owned five-star Lodge is built to reflect the rugged natural beauty of the surrounding Great Marico and is an ideal destination for an authentic African safari vacation as well as a first-class venue for conferences and nuptial celebrations. 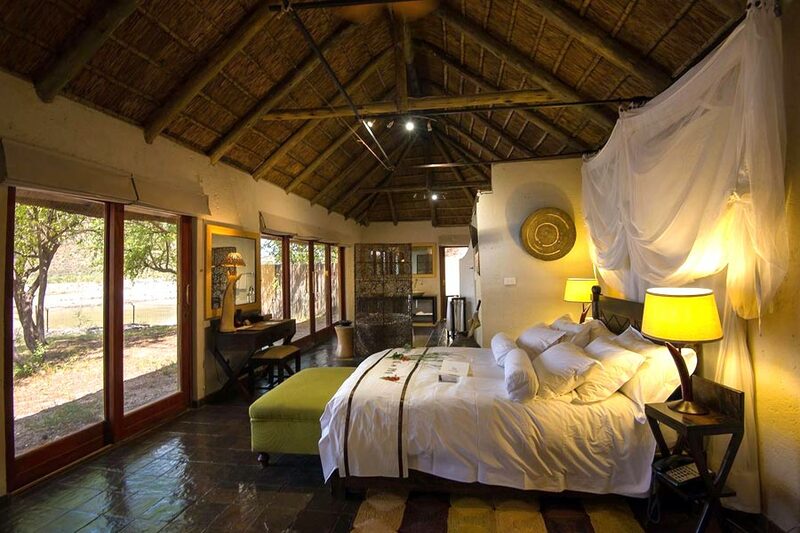 Tau Game Lodge sleeps up to 60 visitors in 30 luxury thatched chalets: 20 Standard and six Deluxe chalets, one Family Unit, and one Family Suite. 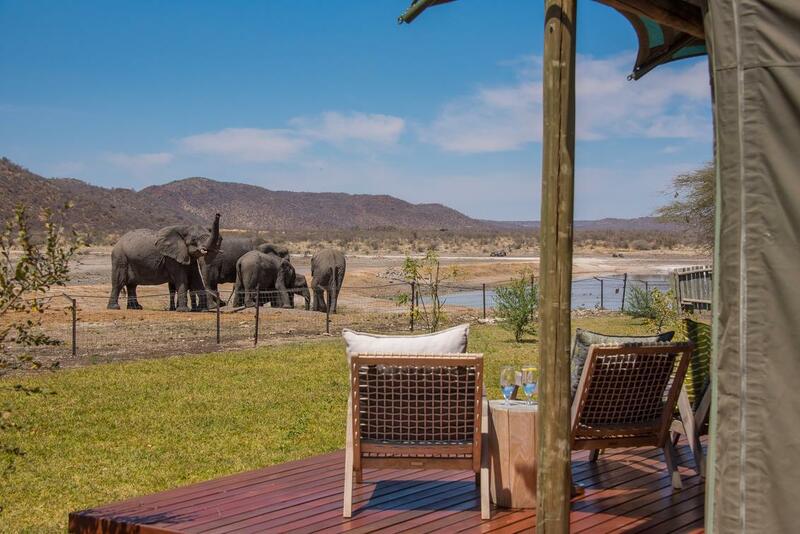 The chalets are placed in a U-formation on either side of the mainlodge, distanced to ensure your seclusion and provide spectacular views of the resident game approaching the waterhole from your wooden deck. 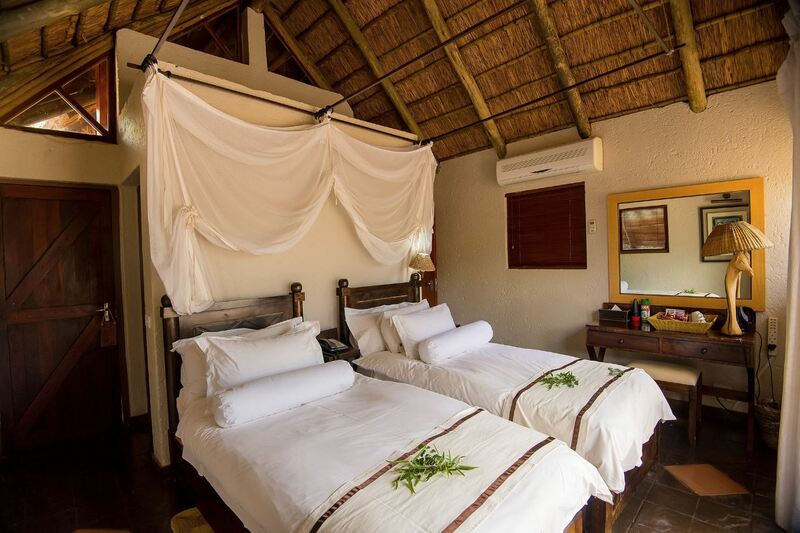 Each chalet has air-conditioning and overhead fans, an en-suite bathroom, open-air shower, hairdryer, mosquito nets, tea and coffee making facilities, bar fridge, and mini- safe. The Standard chalets, one of which has been modified to be wheelchair friendly, can accommodate two adults sharing or a single adult. The Deluxe chalets, on the other hand, are double the size of the Standard chalets and can accommodate two adults and two pre-teen children. However, as the Deluxe chalet is open-plan, visitors should be aware there is limited privacy. This Family Unit is made up of two Standard chalets joined linked by a communal lounge. One bedroom is furnished with a double bed and the other with twin beds, making this Unit suitable for a family of two adults and two children or two couples traveling together. 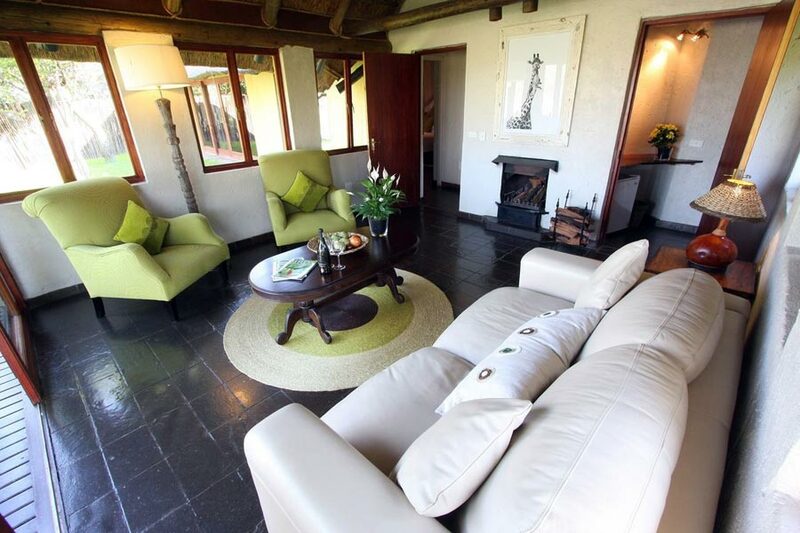 The Family Suite consists of two adjacent Deluxe chalets connected an interleading sitting area. This Suite includes one bedroom fitted with a double bed and a second bedroom with twin beds, plus the option to put in additional sleeper couches, making it perfect for larger families with up to four children under the age of 12. 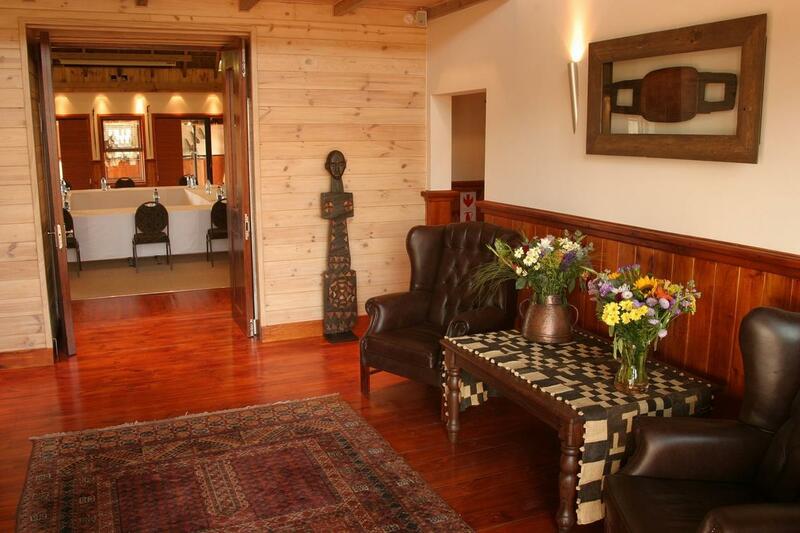 The double-level main lodge is decorated in the same eclectic Afro-chic style evident in the chalets and features a comfortable lounge, dining area, and bar all of which are open-air, affording visitors panoramic vistas of the waterhole and out across the jumbled hillocks of Tshwene-Tshwene to the Dwarsberg mountains on the horizon. The views are just as magnificent from alongside the main lodge’s refreshing plunge pool or the recently constructed infinity pool which lies close to the dedicated game viewing sitting area. Mouthwatering buffet breakfasts and lunches are generally served in the main dining area or on deck next to the plunge pool, while dinners are served in the Lapa or under the star-filled skies in one of the cosy Boma's. What typically attracts visitors to “The Place of the Lion” [*] and the world-renowned Madikwe Game Reserve is its impressive biodiversity. 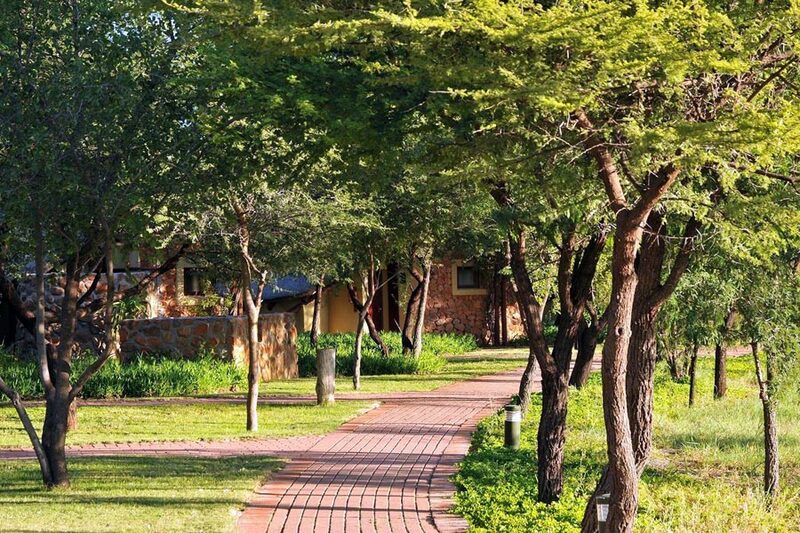 To this end, Tau Game Lodge prides itself on giving visitors ample opportunities to discover all that this unique bushveld region has to offer. Adult-oriented activities include twice-daily game drives in open Landrovers, informative nature trails and exceptional birdwatching safaris in the company of the Lodge’s passionately knowledgeable guides. 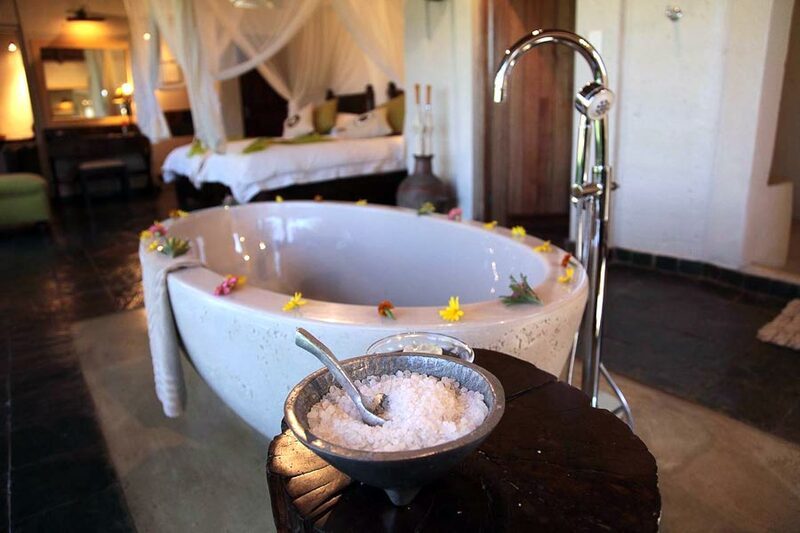 And as Tau Game Lodge believes your inner journey is just as vital to your well-being, it is equally proud of its beautiful Spa facilities where you can pamper yourself with a choice of specialised therapies from authentic Africology to revitalising hydrotherapy treatments. Or retire to the calm sanctuary offered by the secluded relaxation Sala. Or if some retail therapy is what you’re looking for, the curio shop is stocked with quality outdoor gear, handcrafted mementos and jewelry, postcards, cuddly toys, and more. While youngsters under the age of six years are not allowed on the standard game drives, unless their parents have arranged a private vehicle, as a family-friendly establishment, Tau Game Lodge does provide an extensive programme of supervised activities for junior visitors. Youngsters aged 3 to 5 years are automatically granted membership of the Tau Cubz Club. 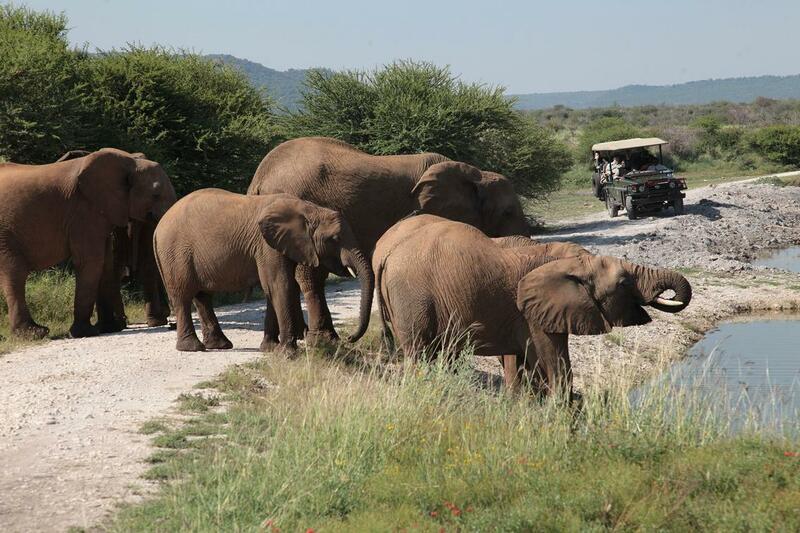 The Cubz Club programme includes a short morning game drive, treasure hunts, and arts and crafts. And as a member of the Club, each child receives a backpack filled with a wildlife activity booklet, animal sticker checklist, deputy ranger sticker badge, and certificate as well as a special Tau Game Lodge T-shirt. Children aged six and older are also welcome to join their younger siblings during the Cubz club activities. Plus, there is a babysitting service available for an additional fee. Should you be organising a convention, Tau’s world-class conference venue is sure to meet your demanding standards. The venue is fitted with state-of- the-art amenities and can accommodate up to 150 delegates. The main hall can be split into three sub-halls, each of which can operate independently or together via a touch-screen control system. The system includes simple plug-in- and-play options to meet your presentation needs and has been set up to maximise ease of use, performance, and aesthetic qualities. 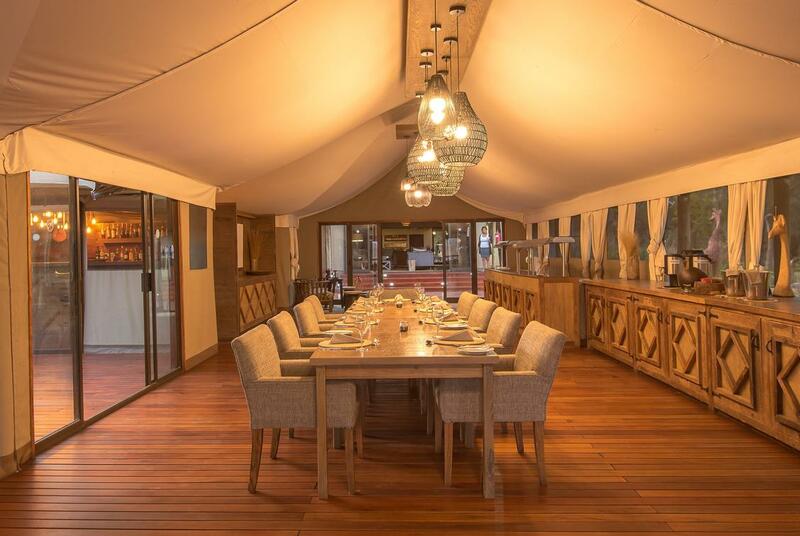 The venue features a kitchen, bar, Lapa, and regular as well as wheelchair-friendly toilets making it perfect for team building events, corporate retreats, and seminars. And if it is a once-in- a-lifetime wedding you’re planning, Tau Game Lodge offers visitors the opportunity to experience a nuptial ceremony with a difference. Tau’s flexible packages and professional service will transform your nuptials into a magical event, designed around celebrating with dear friends and close family against the backdrop of this pristine bushveld oasis. 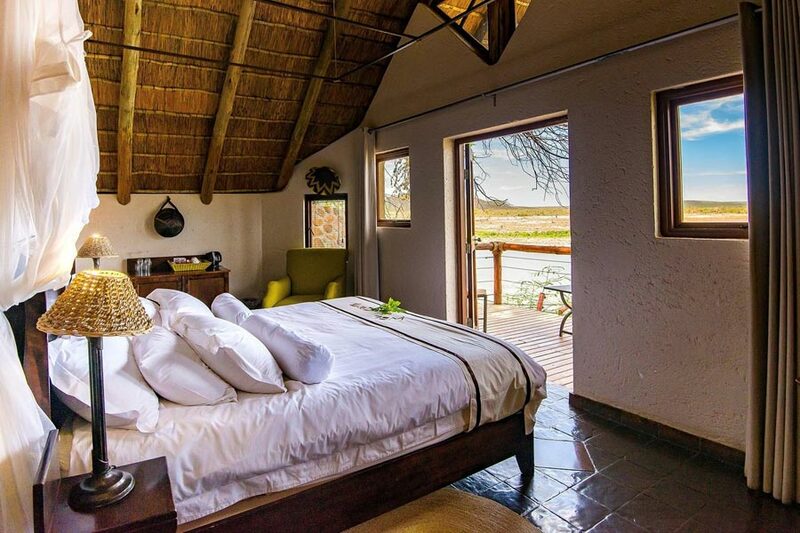 The Lodge can cater to wedding parties of up to 60 visitors in the main building while the resident game looks on from the far side of the waterhole. For more adventurous bridal couples there is the option of a bush ceremony at a beautifully secluded site within the Reserve including a gazebo, red carpet, and chairs with white chair covers. 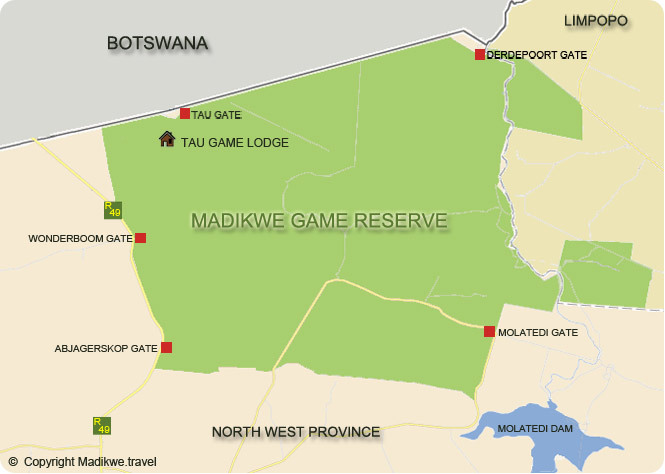 Madikwe Game Reserve is run as a joint venture between the state, the private sector, and local communities. In keeping with this vision, Tau&#39;s owner Robert Gerard setup the Tau Foundation which focuses on encouraging overseas business visitors to contribute to this non-profit organisation. The Tau Foundation runs several successful projects in the local Supingstad community, including a leather factory, school soup kitchens, and traditional heritage sites. And because the Lodge understands that the conservation of our environment depends on planting more indigenous trees, the owner also established the Tau Tree Fund. The Fund enables visitors to give back by planting a protected tree species of their choice. N.B single surcharge will apply for all singles (Easter & Festive Season Christmas/New Year). This special is valid for all new bookings with a minimum stay of 2 nights. 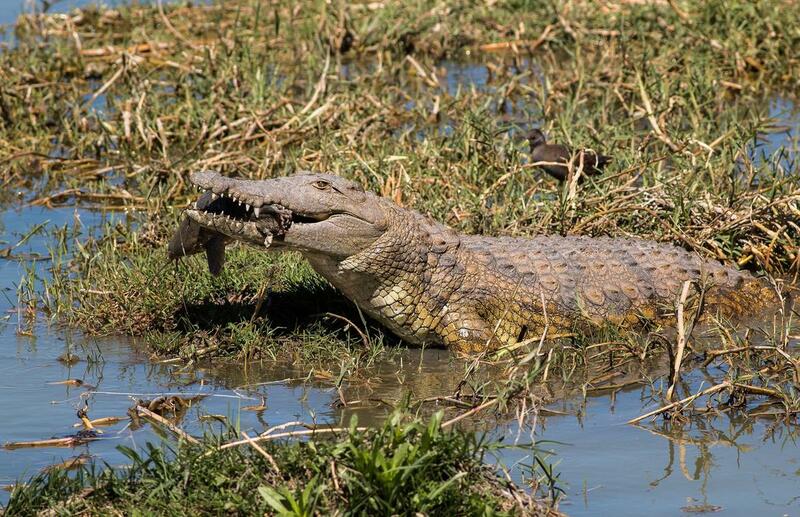 This rate is inclusive of three meals (breakfast, lunch & dinner), two game drives per day and drinks & snacks on game drive. The rate does not include the park entrance fees R180.00 per person, the tourism levy (R10.00 per person per night at present), all items ordered from the bar, curio purchases, telephone usage, internet usage, laundry and all other extras. 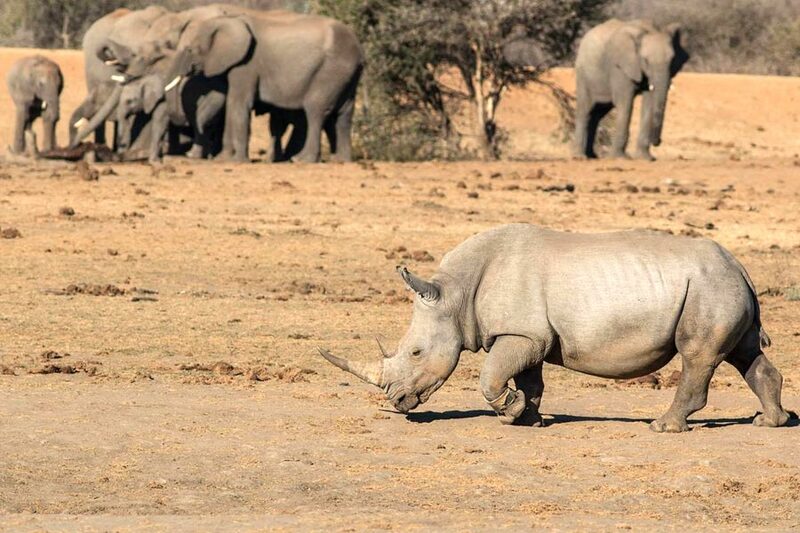 A compulsory Rhino conservation Fee of R 150.00 per Adult per night and R 75.- per child per night (2-12) is applicable to assist the Reserve in its anti-poaching efforts. Check-in/out time Check in time is 14h00. Check outtimeis10h00. FIT Reservations require a 25% non-refundable deposit to confirm a booking 14 days after the booking is made and full and final payment no later than 30 days prior to arrival. Any reservations made inside of 30-days prior to arrival, will be held on confirmed status only, and require full payment within 7 days or less from booking depending on arrival date. 2 Adults and 2 children (under 12 years) per room are not accepted in standard chalets. 2 adults and 2 children (under 12 years) are accepted only in a deluxe chalet or family unit/suite. 2 adults and 1 child and 1 infant per chalet are accepted only in a deluxe chalet or family unit/suite. Both Children pay adult sharing rate. Both children pay 50% each of the adult rates. If this room is requested and only 1 child shares with 2 adults, that child pays the full adult sharing rate, as the room rate for these units is the equivalent of 3 adults sharing. Pays the full adult rate. Children 6 to 11 years of age are accommodated on standard game drives, subject to the discretion of Lodge Management. 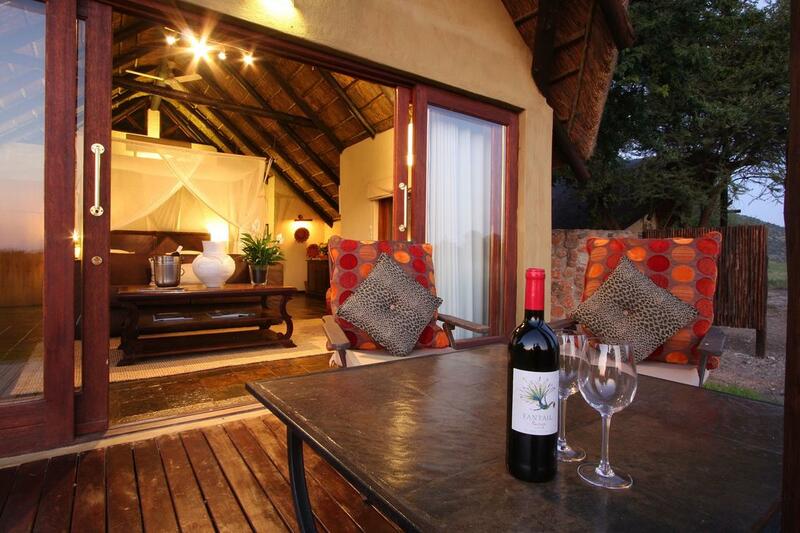 Child minders are available in the evenings as well as during the game drives, at a nominal charge. Child minders are booked on arrival at the lodge and fees are payable at the lodge on departure. Short Kiddies Safaris are provided for the smaller children (3-5 yrs). Rates include special child activity package. 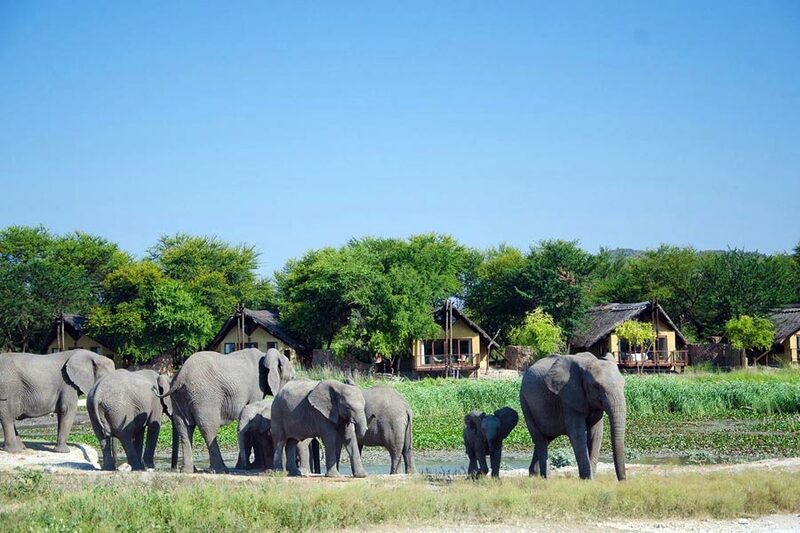 Thirty luxury chalets are spread out in U-formation on eitherside of the lodge, offering excellent views of animals approaching the waterhole from the opposite bank. The lodge has a 5 star rating and chalets are equipped with both air-conditioning and ceiling fans, mini-bars, tea and coffee facilities. 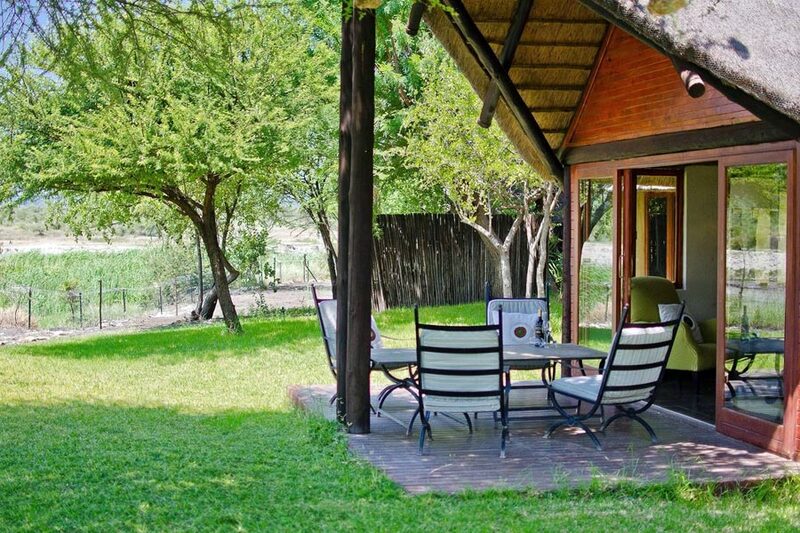 Each chalet has its own wooden deck, which allows one to experience the bush in privacy and is equipped with an en-suite bathroom and open-air shower. All the Standard chalets are suitable for two adults and can be shared with one infant (below the age of 2). The more spacious Deluxe chalets with comfortable seating areas, can accommodate parents and children wishing to share the same room. 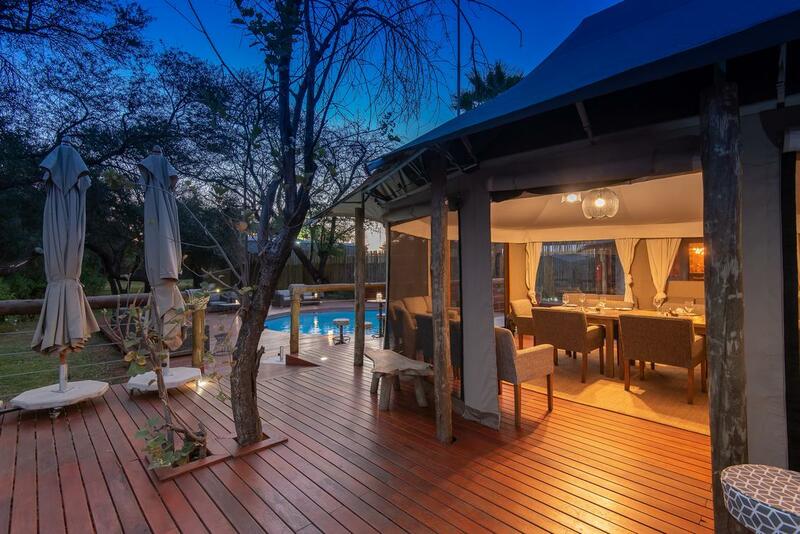 The sliding doors allow for spectacular views of the breathtaking beautiful tranquillity of the rugged surroundings of the diverse bushveld. The Deluxe chalets are double the size of a standard chalet and can accommodate 2 adults and 2 children under the age of 12 years old sharing in the same room. (This is one large room so no privacy). Special Rate Information : Minimum charge = equivalent of 3x applicable adult sharing rate. The Family Unit is made up of 2 standard chalets joined by a semi-interleading lounge area, this unit is suitable for 2 adults and 2 children, alternatively 4 adults, the one bedroom is equipped with a double bed and the other with twin beds. 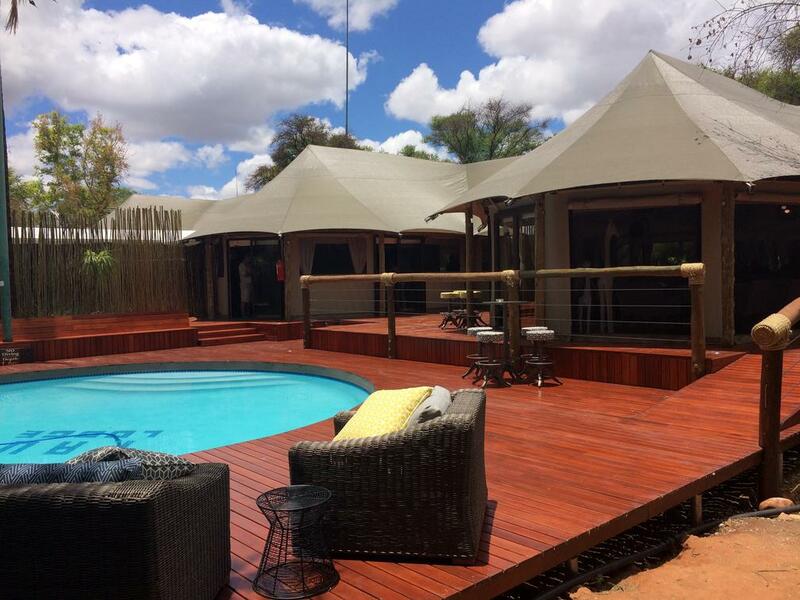 Tau Game Lodge has 1 family Unit only. Special Rate Information : Minimum charge = equivalent of 4x applicable adult sharing rate. Special Rate Information : Minimum charge = equivalent of 5x applicable adult sharing rate. High quality, strategically placed equipment has been installed in the 3 sub-halls and all systems have been integrated and configured to maximize performance and enhance aesthetic qualities. The system has been designed to maximise ease of use and functionality, with simple plug-in and play options for all presentation needs. The system allows other equipment to be linked to it for specialist conferencing. These are all easily accessible in the main building of the convention centre as well as alongside the breakaway rooms. 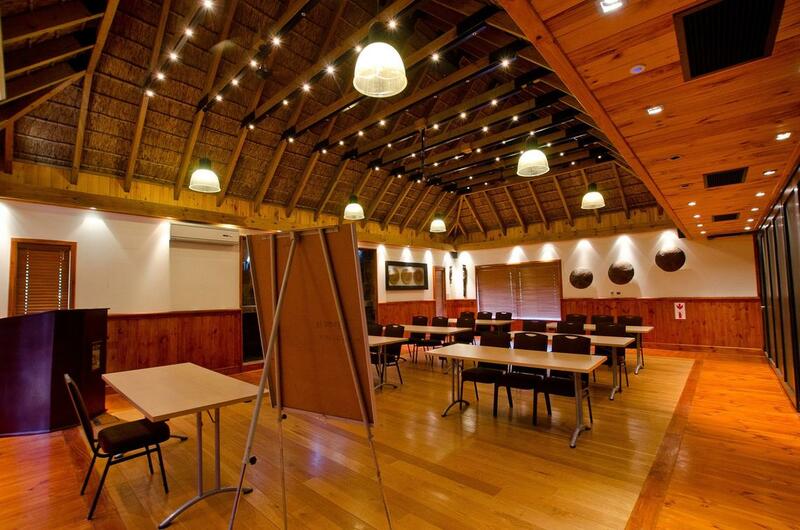 Each of the 3 breakaway rooms are 5.5m x 4m in size and are able to accommodate 10 delegates comfortably. Our South African conference venue is ideal because of its high-quality facilities, privacy and beautiful surroundings, which provides your business team with an additional team-building opportunity in a relaxed and luxurious environment. 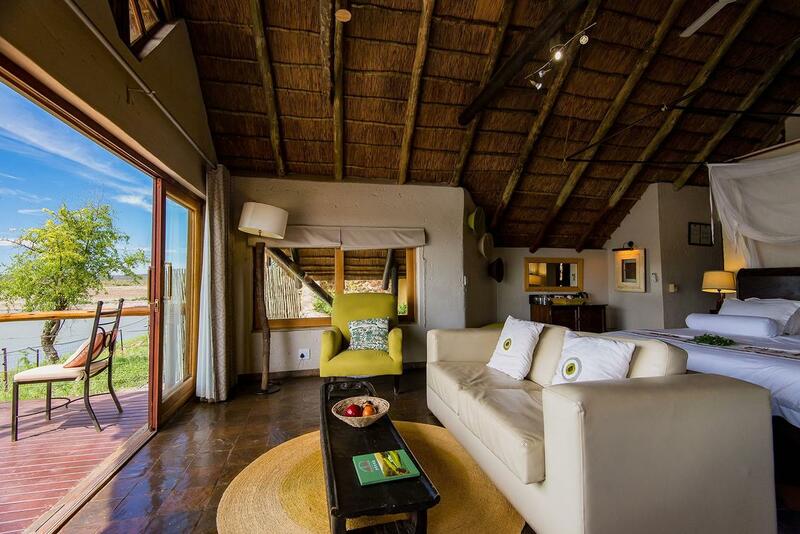 Enjoy the Wildlife in our 5 Star Communal Area The African inspired game viewing lounge area situated at close proximity to the infinity pool allows for guests to meet for morning and afternoon drinks prior to game drive departure. 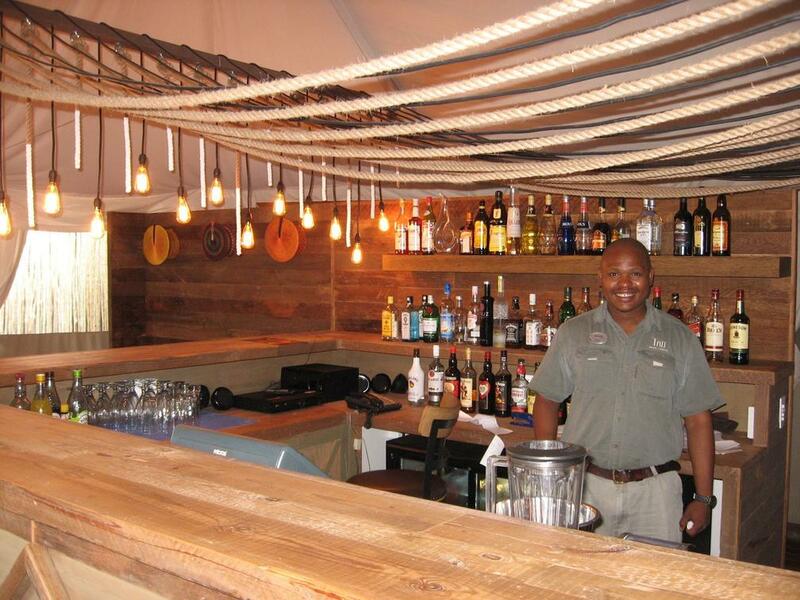 The cosy bar area serves both the swimming pool and the game viewing lounge from where guests can enjoy a daily parade of amazing wildlife passing through from the big 5 to the smaller antelope and bird population. 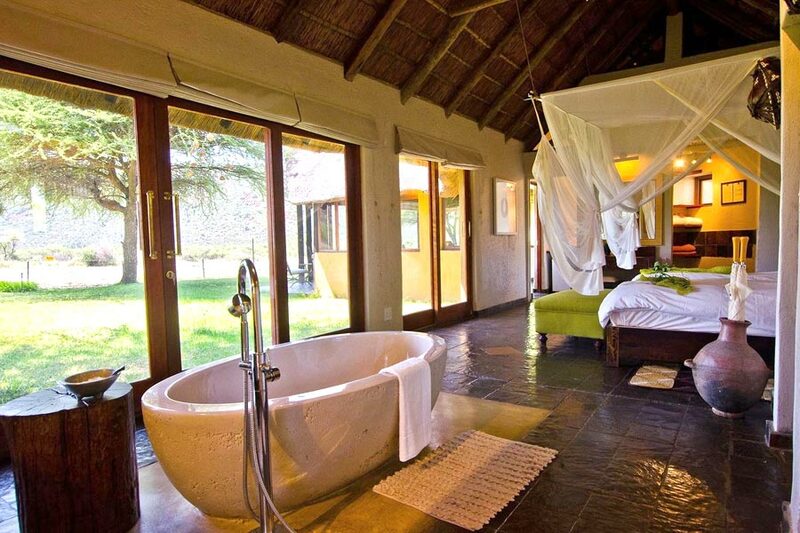 TAU GAME LODGE is in a malaria free area so no prophylactics are required. The lodge has qualified first-aid staff members. In the case of medical emergency Paramedic Medical Emergency Service are available. 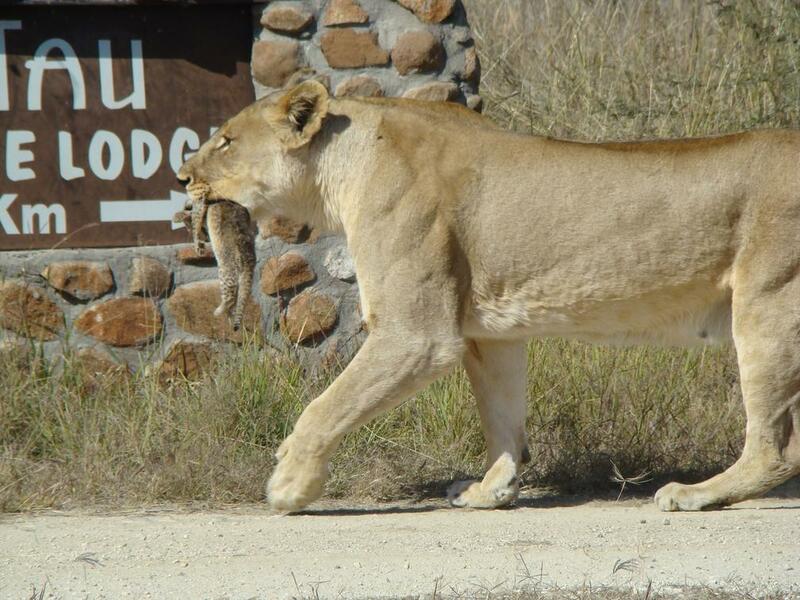 Families with children are welcome at TAU GAME LODGE. Children under the age of 2 years sharing with parents stay free. Children under the age of 6 years are not allowed to join the adults on the standard game drives, unless the party with the children have booked a private vehicle (At an additional charge). A shorter kiddies safari of approximately an hour can alternatively be arranged and a children’s program is in place for their entertainment . Please discuss further policies relating to children directly with Tau Lodge Management. An hourly fee will be charged. The Curio shop carries items created by skilled craftsmen, traditional ornaments or handcrafted jewellery as well as useful safari gear. A laundry service is available at a nominal cost. Hairdryers, mosquito nets, Hostess tea/coffee trays, bar fridge and mini-safe. Air-conditioning and overhead fans. Tipping of Rangers, Mochundas and lodge staff is at the guests own discretion. A suggested amount can be advised by lodge management. Comfortable light clothing – neutral colours recommended, walking shoes, sun hats, sunglasses, sun block, insect repellent and bathing suits. A good bird book, binoculars and camera could come in handy. During winter, please pack warm jackets, gloves and beanies for the game drives. 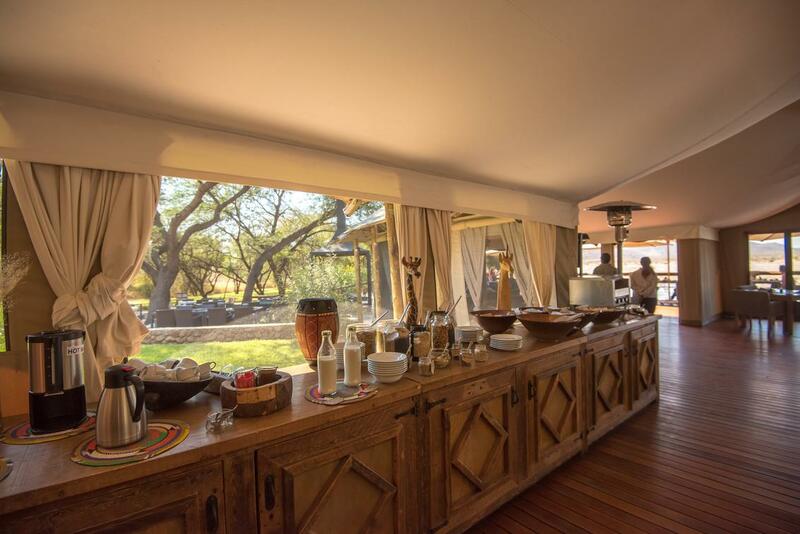 The African inspired game viewing lounge area situated at close proximity to the infinity pool allows for guests to meet for morning and afternoon drinks prior to game drive departure. 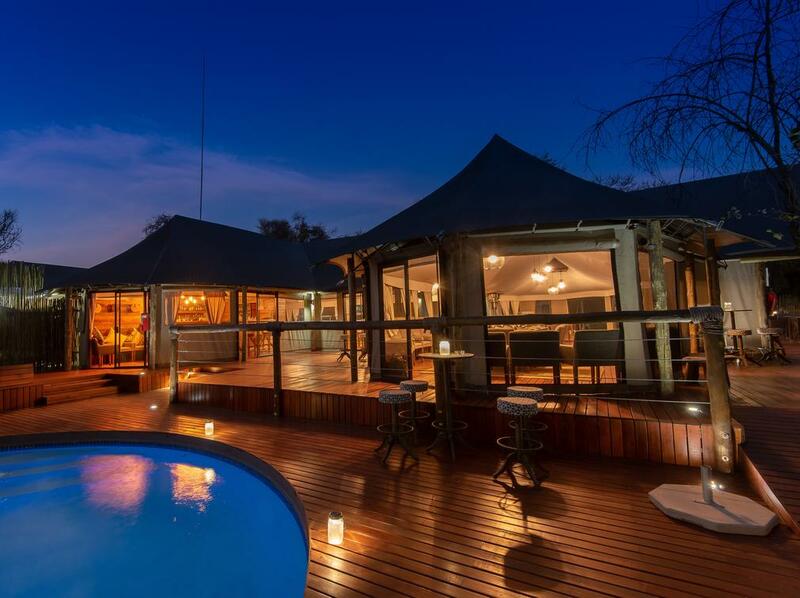 The cosy bar area serves both the swimming pool and the game viewing lounge from where guests can enjoy a daily parade of amazing wildlife passing through from the big 5 to the smaller antelope and bird population. 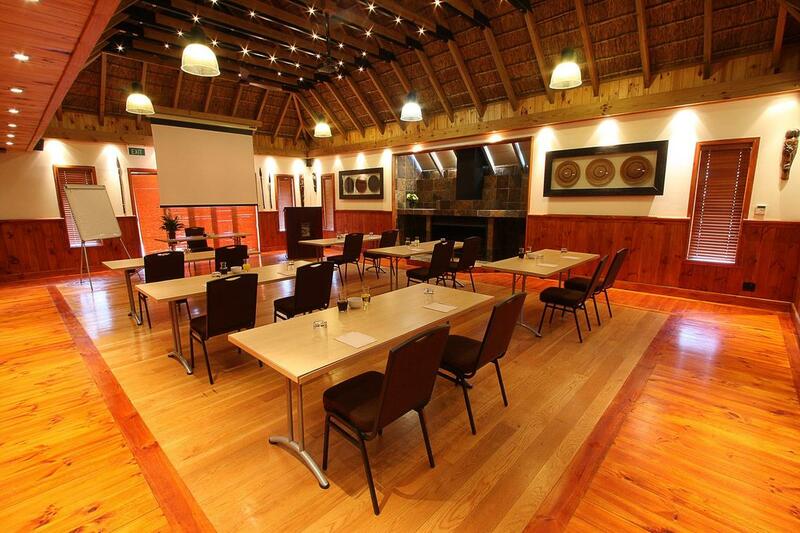 The state-of the art convention centre, which is situated at walking distance from the lodge can seat up to 150 delegates. High quality equipment has been installed in the 3 sub-halls and all systems have been integrated and configured to maximise performance. The centre offers specialist equipment designed with simple plug in and play options for all presentation needs. The African inspired game viewing lounge area situated at close proximity to the infinity pool allows for guests to meet for morning and afternoon drinks prior to game drive departure. 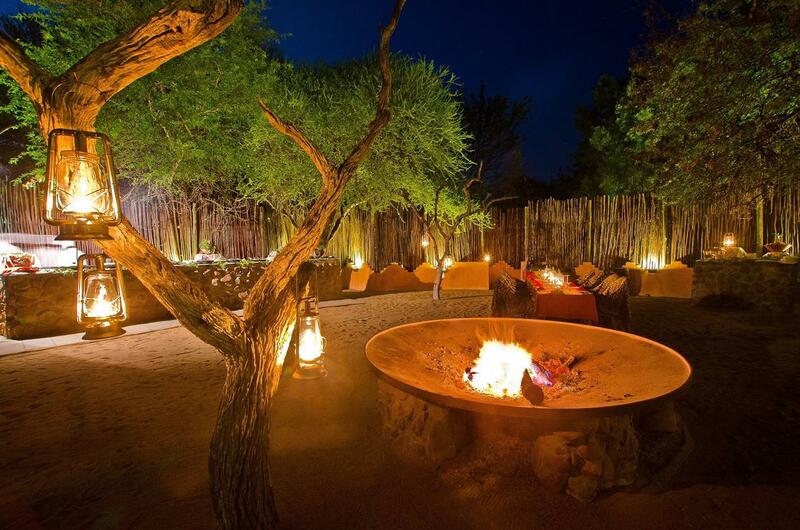 The cosy bar area serves both the swimming pool and the game viewing lounge from where guests can enjoy a daily parade of amazing wildlife passing through from the big 5 to the smaller antelope and bird population. Children aged 3 to 5 years automatically become members of the Tau Cubz Club, which is great fun and works best over school holidays,. It includes a short game drive after breakfast just for the kids. After their game drive, children are entertained with treasure hunts and arts and crafts activities. The children are provided with their own Cubz Club backpacks, which are filled with a wildlife activity booklet, which includes an animal sticker checklist, a deputy ranger sticker badge and certificate, (which is signed off by their personal ranger) as well as a special Tau T-shirt. Additional Cubz entertainment options are for sale in the Tau Curio Shop, including a wide variety of children's goods. These items also make for ideal children’s gifts. A playroom is also reserved for children’s arts and crafts and other supervised activities. The chef offers additional child-friendly food to complement the adult meals, including plenty of fresh fruit and vegetables. 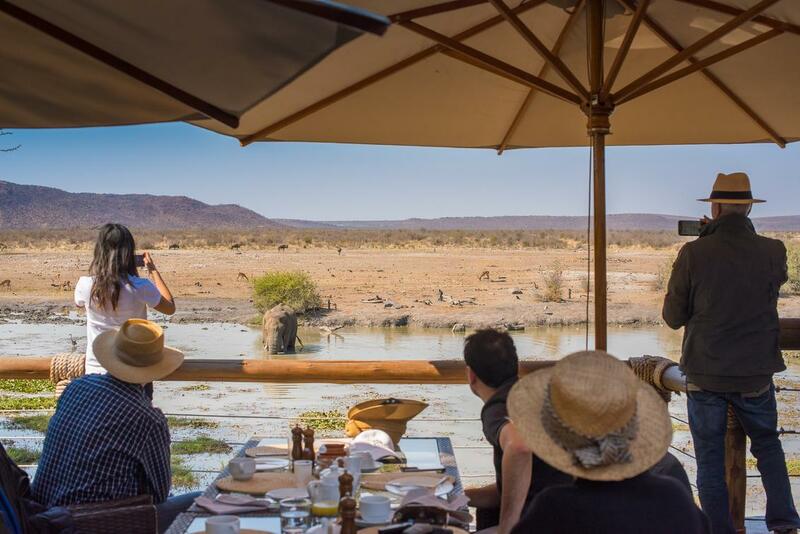 Tau offers a new infinity pool located in close proximity to the Game Viewing Lounge, with stunning views of the amazing wildlife passing through from the Big 5 to the smaller antelope and birdlife. 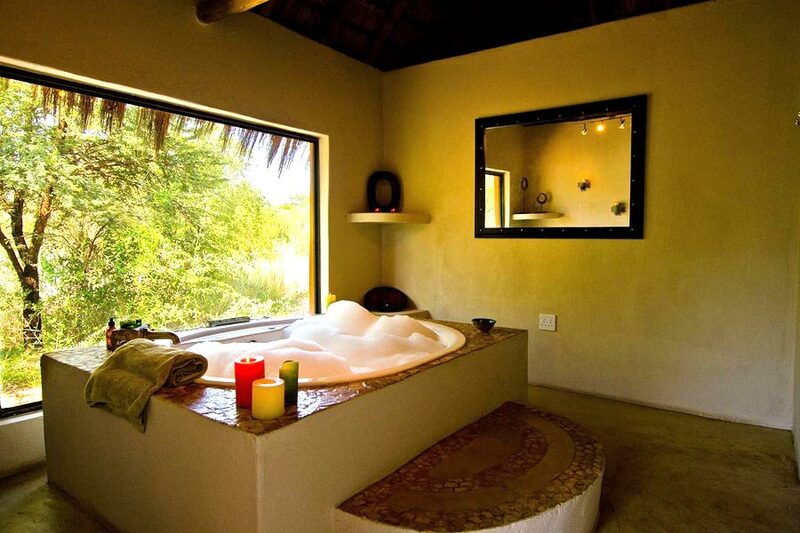 We also have the relaxing plunge pool situated at the main lodge area, for those guests who prefer to sit around the pool and enjoy their drinks with a spectacular view of the waterhole. 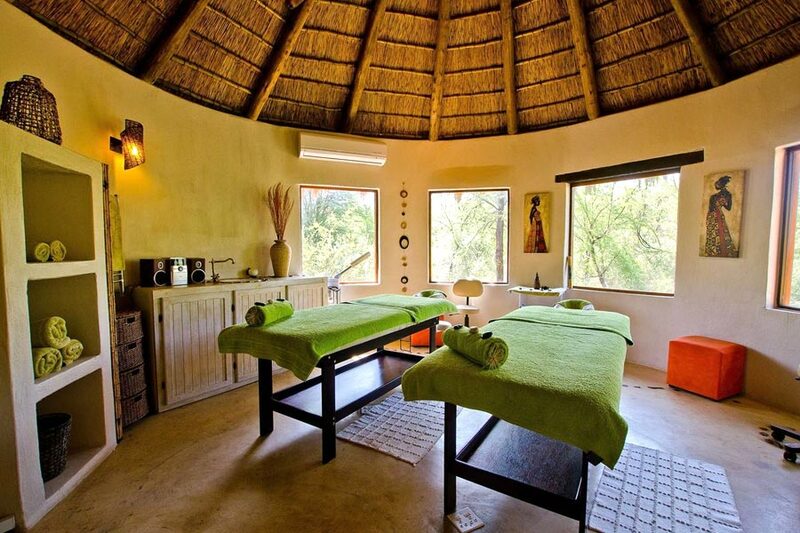 On entering the Spa you are transported into another world – a calm sanctuary that reflects the soul of Africa with its natural surroundings enhancing your experience. Indulge your senses in a unique fusion of different therapies designed to replenish and soothe body, mind and soul. The spa body treatments are specifically designed to detoxify the body, revitalise the skin and calm the mind. M8. Hot Stone Massage: Hot stone massage is a unique connection we experience with nature, offering a sense of profoundness and sacredness that we too often forget. Hot stone massage is a specialty massage that uses smooth, heated basalt stones. It is a deeply soothing, relaxing form of massage and the warmth of the hot stones improves circulation and calms the nervous system. Our body work recognises the mind, body and soul connection and great care is taken to restore balance between the three, understanding that total calmness and relaxation is obtained when a gentle harmony is achieved. Note: Our African Body Wraps commence with a full body exfoliation, followed by a refreshing shower and your chosen body wrap.